Brown rock salt is used for winter maintenance gritting and will ensure that high footfall areas are clear of snow and ice. It works by lowering the freezing point of the surface it is applied to help prevent ice forming. Our rock salt meets BS 3247 which is the British standard for de-icing salt. Our salt is the same quality as used by councils, local authorities and Highways England. Our 25kg bags of brown rock salt include sand and dirt particles to help the salt stick to the surface and to increase the levels of traction. 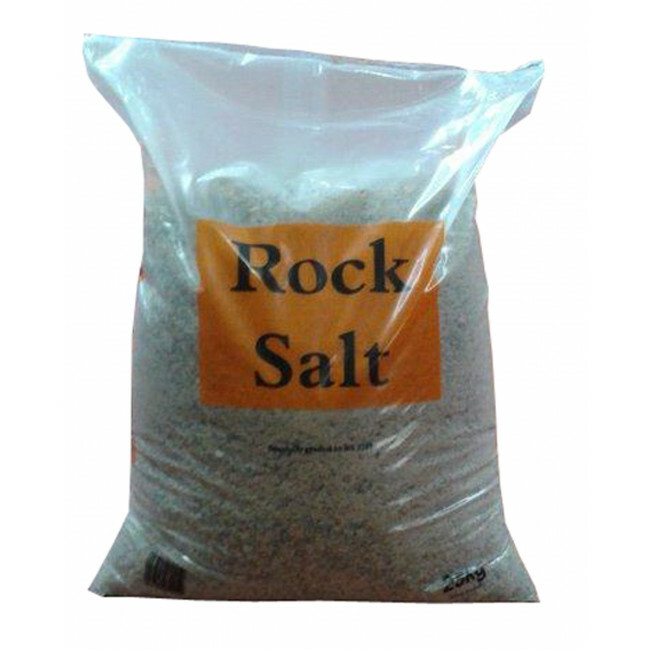 The rock salt is treated with an anti-caking agent which makes the salt free-flowing and suitable for use in salt spreaders. It also helps to prevent the salt from solidifying during long term storage. Brown (pink) salt is best suited for spreading across large areas such as open public spaces and is a more cost-effective option in large volumes.